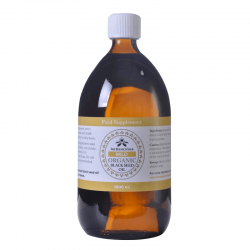 1 litre glass bottle of Original Black Seed Oil from The Blessed Seed. 100% pure, cold-pressed, from the finest quality Nigella Sativa seeds. 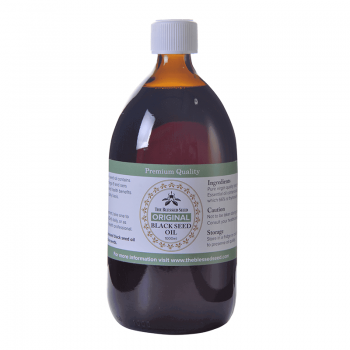 This Black Seed Oil is recommended for those who are already familiar with the healing properties of nigella sativa and are looking for something a little more powerful than they are used to. It is also the perfect introduction to the natural phenomenon that has been revered for millennia for its restorative nature. If you require a more potent oil, please consider our Strong Black Cumin Seed Oil. 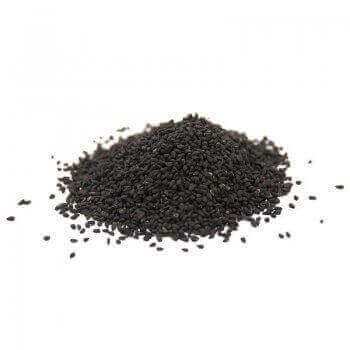 Black Seed Oil (also known as Blessed Seed Oil, Black cumin seed oil, Kalonji Oil, and Nigella Sativa Oil) has been celebrated as a medicinal herb for almost 4000 years. Our very first product was our original black seed oil. We pride ourselves on introducing an exceptionally high quality oil that was more powerful than most other oils on the market at the time. Additionally, it was produced using a very slow cold pressing, which preserves the antioxidants and volatile components. All our oils are still made to exacting standards and we have since discovered and introduced an even stronger oil as we are always in search of new seeds. 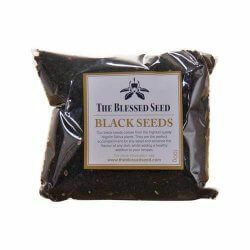 The Original Blessed Seed Oil is best Black Seed Oil on the market. We are so confident about our quality and commitment to customer service that we gladly offer a full 1 Year money-back guarantee. 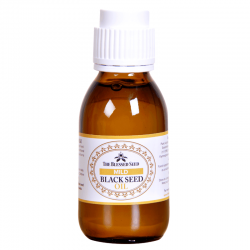 Research has revealed that most of the potent & fruitful activity found in Black Seed Oil resides in its volatile oil. We have found that most other Black Seed Oils on the market contain somewhere between 0.3-1.2% of volatile oil. The Blessed Seed Oil, however, is different. Our oils contain between 1.2 and 4.9%, depending on the product you choose, making our oils far superior to other products, no matter which one you buy. I have used both the strong and the original oil and both are excellent. It has helped my blood pressure and has also cleared a skin problem on my husband’s face that just would not go away. Taking this oil has improved my complexion and my hair is returning to its original dark colour. This oil is a miracle in a bottle and the company go over and above expectations to ensure quality and customer satisfaction. I bought this on the advice of my nutritionist for my autoimmune issues, and I do believe it has healing and health benefits. Unfortunately, it is impossible to swallow – literally. I googled ways to take it, trying to hide in a smoothy but it ruined the drink. I even tried chasing with honey, and I gagged every time. 4 days was my limit – An unfortunate waste of $100. I wish they had smaller trial sizes at the time I purchased. Miracle Worker. I bought this oil to serve the purpose of a dietary need to reduce inflammation. To be honest the taste of this oil not that good but I take it with their Organic honey and the results are outstanding. My inflammation problem is almost gone. I have been keeping this handy and in stock. Would recommend for people having same problem like me. Truly *Miracle in a bottle! I cant emphasise how amazing this oil is! Sadly for User: Kara Golden Reviewer below, I don’t understand that unfair review, Because it’s not that horribly unpalatable & they do come in smaller 100ml sized bottles and you didn’t have to feel you wasted your $100 You can get your money back if your not happy. I feel that review was a little sad. Kara if you read this… I wish you good health – try again, start weaker smaller doses; or the capsules & you will get used to it; the Health Benefits; will most certainly out-weigh your June 7 review. It’s just an amazing product which I will be taking for life !! !